Congratulations to students who entered this year's Olelo 2015 Youth Xchange Video Competition and have been chosen as finalists. Videos were entered at the elementary level in the "Creating Peace" category. There are only 3 videos that were chosen as finalists in the elementary level for this category, and Waimalu represents 2 of those 3 videos! Visit our Video Gallery to see both videos here. 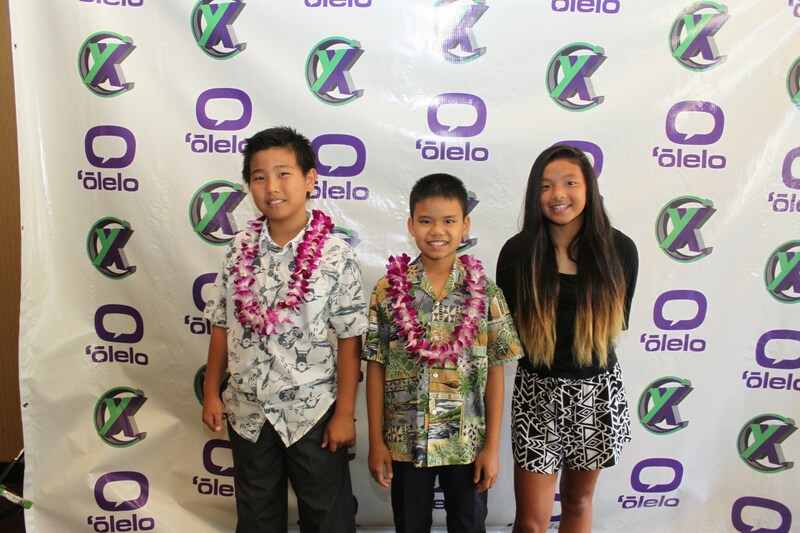 The Olelo Youth Xchange Video awards luncheon was held at the Sheraton Waikiki on May 4,2015. Although the Waimalu videos did not win in their category, we are proud that our student videos were chosen from a large number of entries and did make the top three. Congratulations on a job well done!